If you’ve seen the entire movies premiers already and you are looking for something to do over the weekends, you can try finding a computer game. At tothegames. com you will find a large list of on line games for you to choose from. Good news is that they are all for free, so no need to spend money on that. 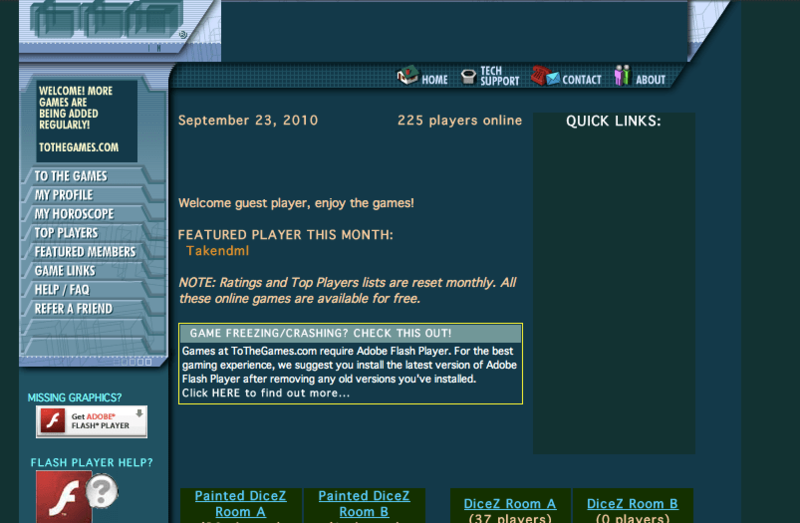 On the left side of the webpage there is a navigator bar containing: top players, to the games, cash games, featured members, etc. Spingo, Slots, Video Poker, Keno, Dice Z, Painted Dice, Bingo, Wordhunt, Roulette, Boule, Backgammon, Cribbage, Mahjong, Scrabble, are among the games you can get for free. On the site there is a link with technical support so in case you have an inconvenient they might help you out. Nevertheless, most of the games are pretty simple and fast-loading so it makes it easier for you to play.